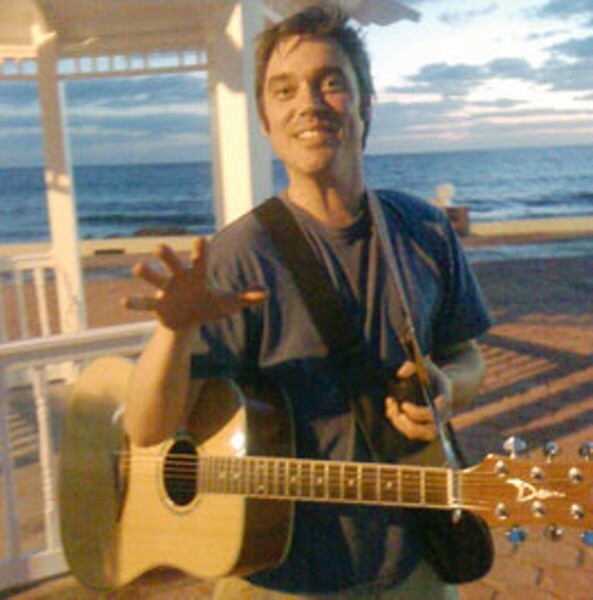 On Dec. 4 while vacationing in Isla Mujeres, Mexico, beloved local guitarist Johnny Downer died unexpectedly at age 37 from a heart attack. The outpouring of grief from the local music community has been immense, and the official tribute to Downer's life and talent this Saturday at the Hopmonk Tavern in Sebastopol should prove to be an overflow-capacity reminiscence to a man for whom everybody, it seems, reserved a lot of love. "He was like a shooting star, or a comet," says Tim Sawyer, who played with Downer for the past nine years in the band Free Peoples. "One of those rare things that touched a lot of folks' lives, and everyone saw it while it was happening, but didn't see it go by so fast." Sawyer says that Downer was changing his strings when he died, and was found with his guitar in his hands. Free Peoples, winners of the 2008 NORBAY award for Best Country/Americana Band, can't readily be classified as such; reggae, psychedelia, jazz and afro-beat all find a place in the band's famous experimentation. Downer's fearless spirit loomed large over the group's creativity, Sawyer says of his fellow bandmate, in "his willingness to give every song a chance, and to experiment with every little scenario about the song—melodically, rhythmically. "The thing about Johnny is that, almost to a fault, he accepted everybody for who they were," Sawyer continues. "He would run an open mic one night or he'd be jamming with homeless people under a bridge another night. He'd hang out with the most interesting folks, and Johnny would find something inside of them that was really cool, and bring it to your attention. That's why he touched so many people—because there was no judgment on his part." Free Peoples will carry on as a band, but filling Downer's shoes for this weekend's celebration is no small feat; it takes five or six different guitarists, it turns out, to effectively recreate Downer's insatiable open-mindedness for variety. Downer's family is traveling up from Southern California to attend, and they should not be surprised in the slightest to witness the immense love for their son in Sonoma County. Sawyer promises, "We're going to try to make it as uplifting as possible—the way Johnny Downer would want it." Free Peoples, the Jug Dealers, the Tony Brucco Band, Radioactive, Ali Weiss, David T. Carter, David Gans, Jennifer Faust, Chris Bramble and many more pay tribute to Downer on Saturday, Jan. 9, at the Hopmonk Tavern. 230 Petaluma Ave., Sebastopol. 3pm to 2am. $10 suggested donation; all ages. 707.829.7300.